On paper, the ILX seems like the car that we have always wanted Acura to build: small, fun to drive, classy, and reliable. Until now, it has never quite made the grade. With the updates just unveiled at the LA Auto Show, however, it might finally live up to those exalted expectations. The biggest addition is in the powertrain, where the ILX receives the same 2.4-liter engine and eight-speed transmission as the new Acura TLX. The engine puts out 201 horsepower and a 180 pound-feet of torque. This is a big improvement over the outgoing 2.0-liter engine. On paper, though, it seems to be no different than the existing optional 2.4-liter engine. The truth is a little more complicated; the new engine’s peak output may be precisely the same as the old, but the powerband is much broader, offering more power, more of the time. This is augmented by the new transmission. 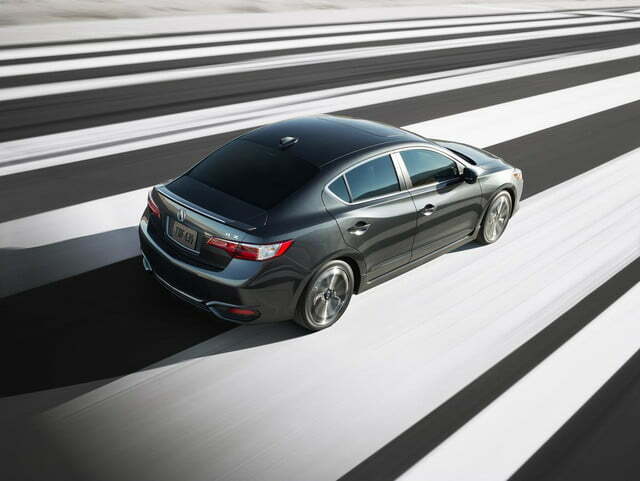 Acura’s new eight-speed dual clutch transmission was arguably the best innovation on the new TLX, which was kind of a shame, because it was only available on the more basic editions. 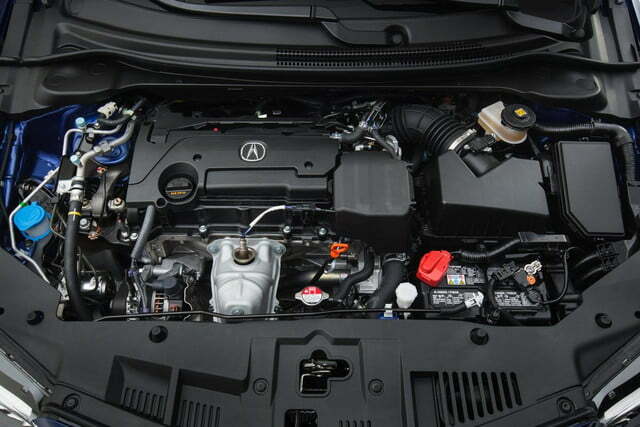 On the lighter and smaller ILX this gearbox promises to offer silky, snappy shifting, as well as good fuel efficiency. 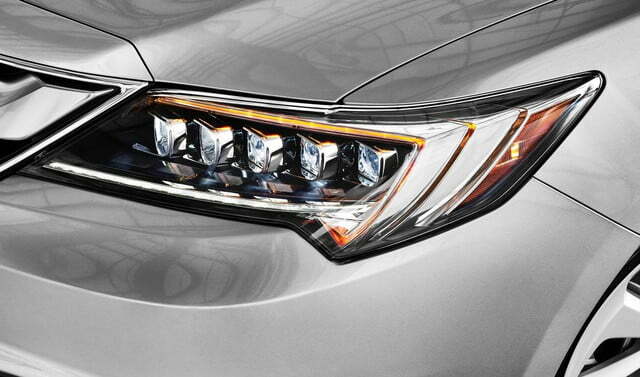 The other big changes to the TLX come in the form of a dizzying array of tech upgrades. 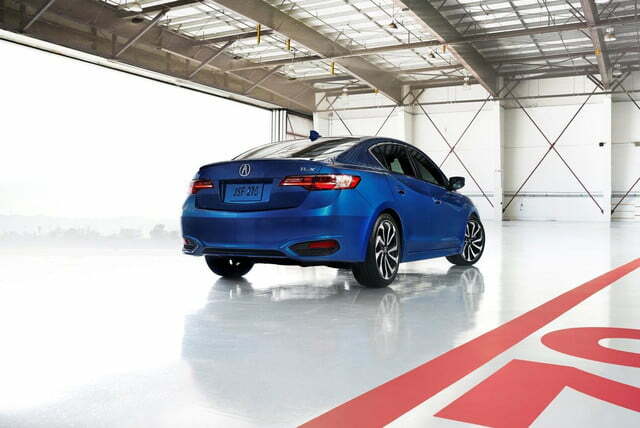 All ILX models can now be purchased with the AcuraWatch suite of driver safety and assistance technologies. 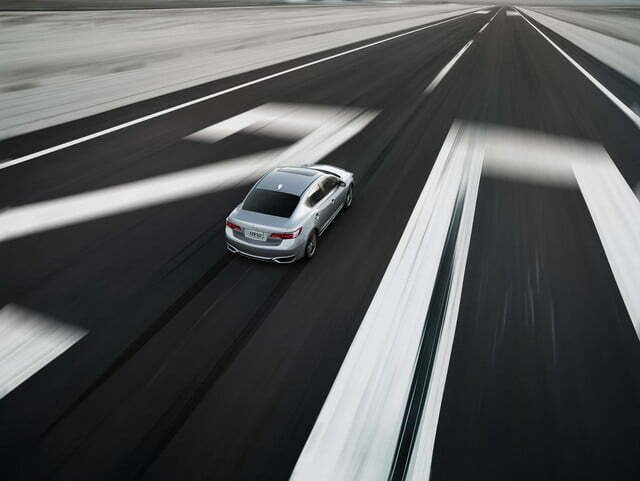 A fully loaded ILX will be equipped with Adaptive Cruise Control, Road Departure Mitigation, and enhanced Collision Mitigation Braking. While none of these systems is revolutionary, they do a lot to put the ILX at the top of the entry level luxury compact segment. 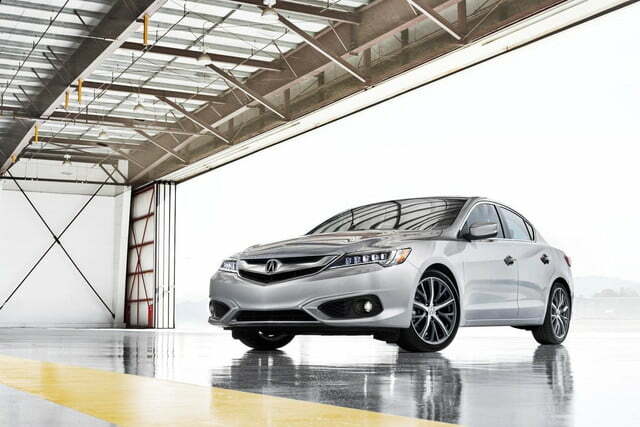 Acura has also addressed a few other niggling flaws in the ILX. Anyone who found themselves annoyed with the somewhat oppressive road noise of previous ILX’s will be happy to hear that Acura has installed extra sound deadening. Handling and ride should also be improved by the addition of larger wheels, tires, and slightly tweaked suspension and chassis tuning. This likely won’t make an earth-shaking difference, but thankfully the ILX doesn’t need anything like a dramatic overhaul. 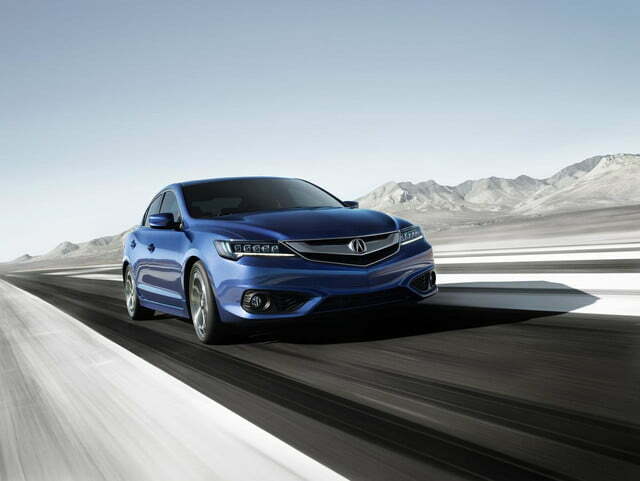 Lastly, the styling has been updated to bring the ILX in line with its corporate siblings. The 2016 Model Year will get Jewel Eye LED headlights and a number of sporty touches like side sills, and a trunk spoiler. These tweaks make the already handsome ILX more of an eye catcher, albeit in a not entirely subtle way. Acura’s makeover of the ILX looks as though it will give Acura’s entry level option some much needed flair and luxury feel. It may not make it into a seriously tire shredding rival for the BMW 2 Series or Audi A3, but for people who care more about class and comfort than transferring rubber onto the road, the 2016 ILX should be a good choice.